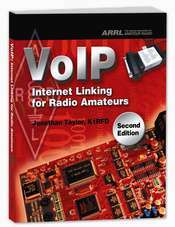 Ridgefield, CT, September 28 -- EchoLink, the world's leading Amateur Radio Internet linking system, has announced that it will begin accepting digital certificates issued by the American Radio Relay League's Logbook of the World program as an alternate means of authenticating new users. System security is critical, and all new EchoLink users must be validated before being allowed access. In many cases, new users are asked to provide proof of license for verification. EchoLink system administrators currently process dozens of Amateur license photocopies each day, received by fax and e-mail. To streamline the process, participants in Logbook of the World (LoTW) will now be able to prove their identity to EchoLink using a LoTW digital certificate, as an alternative to submitting a license copy. Under the Trusted QSL technology employed by LoTW, the ARRL is acting as the certificate authority, or CA. In accepting digital certificates issued by the ARRL, EchoLink is asserting that it trusts the ARRL CA's methods of verifying identity. This simplifies the validation process for new users who are already using LoTW, since they need not prove their identity (including their callsign) a second time in order to use EchoLink. Once a Trusted QSL digital certificate is installed, a special utility developed by EchoLink allows new users to authenticate themselves to the EchoLink system in a matter of seconds. The utility "signs" a validation request with the user's private key, and then transmits the request, the signature, and the certificate to the EchoLink servers. The servers automatically verify the digital certificate and electronic signature upon receipt. The certificate contains the requestor's callsign, as verified by the ARRL. 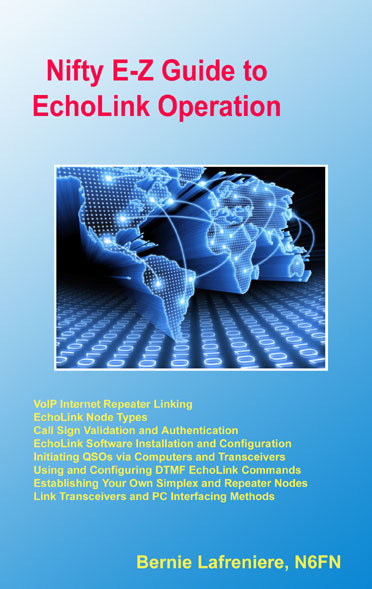 Once validated, new EchoLink users are able to set up simplex or repeater links that can communicate by voice over the Internet with any of thousands of other Amateur stations. Validated users can also use EchoLink to connect to distant stations directly from their PCs. "This is a major step forward in interconnecting Amateur Radio with the Internet," said Jonathan Taylor, K1RFD, developer of the EchoLink system. "The merger of these two technologies has always been hindered by the need for strong, reliable authentication. By issuing trustworthy digital certificates, the ARRL is making it easier for systems like EchoLink to leverage communications technologies that enhance the value of the Amateur Radio Service." EchoLink is a system for interconnecting Amateur Radio stations over the Internet. Now in its second year of operation, EchoLink has been adopted by more than 100,000 licensed Amateurs in 139 countries worldwide. The software and access to the system is offered free of charge, and the system is managed by an all-volunteer staff of hams on three continents. Logbook of the World is the ARRL's secure electronic contact-confirmation system. Launched on September 15 of this year, it will allow its participants to qualify for operating awards electronically, as an alternative to exchanging and submitting hardcopy QSLs. Information on EchoLink is available at www.echolink.org. Information on Logbook of the World is available at www.arrl.org/lotw.